Three Tasty Book Tour stops for THE DEVILISH MR. DANVERS today! Check out the wonderful review at Books Like Breathing. At What to Read Wednesday, I answer a question on research. And you can also enter the GIVEAWAY at Eskimo Princess Review. Lucan plotted against his own friends in The Elusive Lord Everhart and The Devilish Mr. Danvers in order to win a high-stakes wager. Scandalous! He’s a mystery and seems to cause trouble wherever he goes. There are several men among the ton who would like to see him either dead or married. Until then… warm wishes and happy reading! 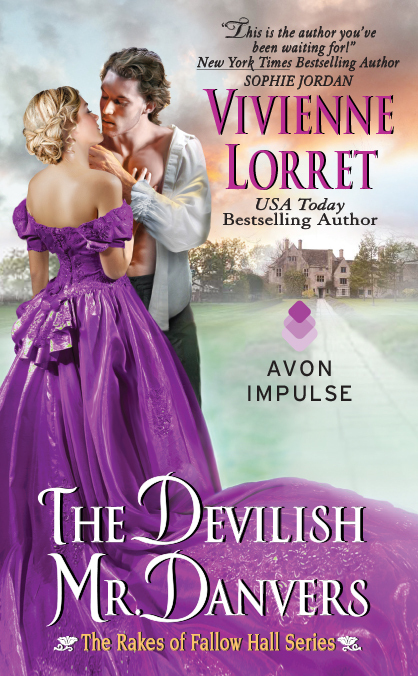 THE DEVILISH MR. DANVERS is available today! At last…. 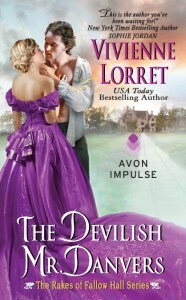 THE DEVILISH MR. DANVERS is available today!!! Woohoo!!! I’m celebrating with a mug of tea (of course) and smiling so much that my cheeks ache. 🙂 It’s the best kind of workout. More news: Rafe and Hedley’s story has earned 5 stars from Books Need TLC and a whopping 10 out of 10 from Cara’s Book Boudoir! Yay!!! Adding to my excitement, I read a squee-worthy review from Tanya Kaanta at Heroes and Heartbreakers (copy below). I’m over the moon and so completely grateful and ecstatic that I have at least ten new smile wrinkles (the best kind). And don’t forget to check out Heroes and Heartbreakers each month for their romance novel shopping list! In a high-stakes wager, The Rakes of Fallow Hall vowed never to marry. Fate, however, will play the final hand in the newest book from USA Todaybestselling author Vivienne Lorret. 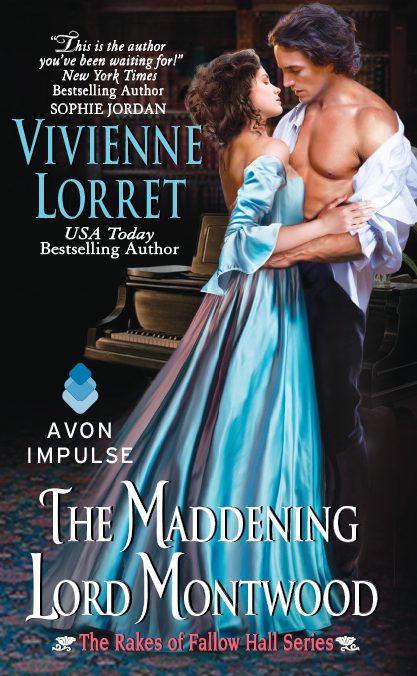 With one lord already fallen to love (see The Elusive Lord Everhart), Rafe Danvers and Lord Montwood remain determined to stave off love inVivienne Lorret‘s The Devilish Mr. Danvers. For the next year, these two men will do whatever it takes to remain single in order to procure the lofty sum of 10,000 pounds at stake from their wager. But as we know, in our historical romances, it is always those that vow to never love or marry again that fall the hardest. And Rafe Danvers is no exception, though he does make a convincing argument for staying a bachelor. Years ago, he was jilted at the altar by his former fiancée, Ursa Sinclair. Older and wiser, he knows better than to make the same mistake twice, and vows to make all Sinclairs his enemy. Hedley Sinclair, Ursa’s younger sister, is the ugly secret that the Sinclair family keeps hidden away in the attic. That is, until Hedley finally experiences freedom when her grandfather surprisingly leaves her Greyson Park upon his death. Though in shambles, the home is hers and she quickly finds relief from the abusive hands of her mother and sister. All is well, until Rafe declares that he, not she, is the owner of Greyson Park. While Hedley may be naïve in the ways of womanly aristocratic behavior and the art of flirting, she is no push-over. Hedley is immune to Rafe’s intimidation to relinquish Greyson Park, regardless of how erratic he makes her heart beat. Instantly her heart squished in that pwum-pum-pum sensation. His hair fell in rakish waves over his forehead, and his darkly rich brown eyes were lit with a devilish gleam that made her stomach bobble. “And that was a terrible change of topic.” Believing that he was speaking of one of the colored glass vases in the cabinet, she looked them over. She found deep red, the color of merlot; a vase, bright and clear as a summer sky; and daffodil yellow, among other hues. Abruptly, he turned from her and headed toward a tasseled bell pull on the far wall. It was almost as if he suddenly wanted to put as much distance between them as possible. She had her answer. He was only flirting in order to gain something. The only thing she possessed that Rafe Danvers wanted, however, was not for sale. No matter how tempting the currency, she would not give him Greyson Park. As the two fight to possess Greyson Park, we see how very right these two seemingly opposites are for one another. Even though he vowed to make every Sinclair his enemy, Rafe can’t help but be charmed by this odd, yet strong-willed and innocent spinster. And Hedley is no match for Rafe’s charm and convictions to do what is just. This was another read that kept me up well into the middle of the night and dare I say this pairing has joined the ranks of some of my favorites, including Leo Hathaway and Catherine Marks (Married by Morning) and Ralston and Callie (Nine Rules to Break While Romancing a Rake). The Devilish Mr. Danvers, in my opinion, is Lorret’s best one yet. I can’t wait! I’m so excited about the release of Rafe and Hedley’s story in THE DEVILISH MR. DANVERS! I’ve been waiting to tell Rafe’s story since I wrote the first of the Wallflower Wedding Series. And now, the time is almost here! 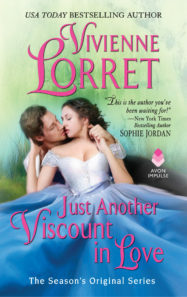 THE ELUSIVE LORD EVERHART is out in paperback today! Woohoo! While I love my Kindle, there’s something magical about holding a book in my hands…the creak of the spine opening for the first time; the crisp sound of the pages; the sweet, comforting fragrance… I love it all! Also, the Tasty Book Tour for THE DEVILISH MR. DANVERS just started this week. If you’d like to follow and enter the Giveaway for a Wallflower bundle, I’ve posted the tour stops below. Good luck and have a wonderful week! The Sisterhood of Spinsterhood: 8 Firmly On-the-Shelf Romance Heroines from Austen, Hoyt, Kleypas, and More! Persuaded to wed a spinster? Spinster (noun): A woman beyond the typical age of marrying with little likelihood to do so.A crueler name disguised in polite society could not have been created for our historical romance heroines. Yet, the spinster trope is a beloved favorite. Why? Because these are the women that have either chosen spinsterhood because they are strong and independent women who don’t need a man to complete them, or their beauty hasn’t had an opportunity to shine. And I always like to root for the underdog or read about the impossible HEA waiting to unravel. Finally, these spinster courtships have been some of the most memorable, whether it is due to the spinster’s wit or the bottled up passion waiting to be unleashed. Below is a list of some of my favorite spinster historical romance stories in alphabetical order by author. Is any list of spinsters complete without our beloved Anne Elliot? After being persuaded to break her engagement to naval officer, Frederick Wentworth, Anne gets another chance at love. Eight years later, and a life-time of regret, Anne comes face to face with her former fiancé, now a successful and respected Captain. What ensues is a masterpiece in second chances, courtship, and chemistry. Kelly Bowen’s A Good Rogue is Hard to FindMiss Jenna Hughes has resigned herself to singledom. In fact, she would like nothing more than to remain the companion to the eccentric Dowager Duchess of Worth. Because Jenna is no ordinary companion. She and the duchess are intent on righting the ton’s wrongs by redistributing wealth from the rich to the poor. The poor being shopkeepers and merchants forced into bankruptcy when the ton refuses to deliver payment for services already rendered. Only Jenna does not anticipate the Dowager’s son, William Somerhall, Duke of Worth, to meddle in their affairs, nor to win her heart. Banter and chemistry are at an all-time high with this gem. The sixth book in the Maiden Lane series, Hoyt takes us back to London of the 1700s. Artemis Greaves is a lady’s companion to her beautiful, yet witless cousin, Penelope. At 28, Artemis is well resigned to the ranks of spinsterhood, in part due to the injustice handed to her twin brother when he was imprisoned in Bedlam for a crime he didn’t commit. When her cousin sets her eyes on Maximus Batten, Duke of Wakefield, aka one of the Ghosts of St. Giles, Artemis finds herself consumed by his attentions and their forbidden affair. And Maximus finds he can no longer hide his true affections, as Artemis melts his hardened exterior. Before I get a verbal flogging for not including Devil in Winter, let me just say that I love that book as well. And it is the quintessential spinster/rogue novel. However, I want to give a shout out to one of her other series, the Hathaways. And Married by Morning has to be my favorite. Catherine Marks, a paid companion to the younger Hathaway sisters, makes a place for herself in this quirky family fallen into aristocracy through an inheritance from a distant relative. More importantly, Catherine has safety and protection. All is well with the family, save the male heir to the Ramsay estate, Leo Hathaway. Hidden beneath their constant bickering is an attraction that will have readers swooning and falling in love with one of my most favorite historical romance couples. The second in the Rakes of Fallow Hall series, the Devilish Mr. Danvers is set for release April 21. After Rafe Danvers was left at the altar by his fiancée, Ursa Sinclair, he vows never to marry again, lest he be made a fool twice. Hedley Sinclair, younger sister to Ursa, and the family’s dark secret, finally has a chance to realize her independence. 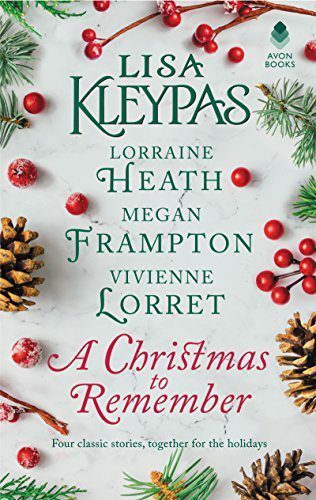 No longer confined to the attic of her mother’s home after inheriting Greyson Park from her grandfather, she sets out to make the most of her home, regardless of the fact that is in ruins. The only problem is that Rafe Danvers also owns Greyson Park. What starts out as a battle for the property turns into a battle of the heart. And this is Lorret’s finest thus far. Sarah MacLean’s A Rogue by Any Other NameLet me start out by saying that Nine Rules to Break While Romancing a Rake is my most treasured spinster novel. 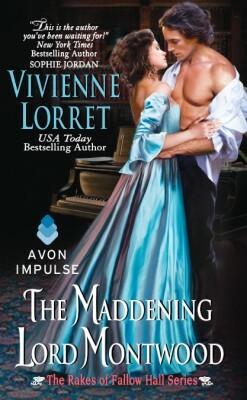 However, I wanted to give kudos to another most excellent spinster novel from her Rules of Scoundrel Series. After Lady Penelope Marbury faced a broken engagement from Simon Pearson, the Duke of Disdain (whom I’ve now renamed the Duke of Dreamy), Penelope finds herself quite on the shelf. That is, until she is forced into an unlikely courtship with none other than her childhood friend, Michael, Marquess of Bourne. Only the years have hardened Michael and it will take a woman as spirited and spectacular as Penelope to uncover the true Michael she once loved. Formerly The Rake and the Reformer, this RITA winning novel tugs at the heartstrings. Reginald Davenport, once the heir apparent to an earldom, now a veritable rake and drunkard, is offered one final chance of redemption. When the new Earl of Margrave decides to give Davenport an unentailed property, Strickland, Reginald sets out to return to the place he once called home. Now thriving under the stewardship of an A. E. Weston, imagine his surprise when he learns that his steward is none other than Lady Alys Weston. Reggie and Alys begin an unlikely friendship that blossoms into much more as they begin to heal from their pasts. Ack, this was a toss-up between Kate’s story and Penelope Featherington’s from Romancing Mister Bridgerton. Anthony Bridgerton, Viscount and head of the Bridgertons has finally decided to marry. And he chooses none other than Edwina Sheffied, the incomparable of the season. The only thing, or person, standing in his way is Edwina’s sister, Kate. And once they begin their sparring dance, the pall mall balls fly and love conquers all fears. What are your favorite Spinster novels? Tanya is a fanatic of all things romance and teaches sociology part time. You can follow her on twitter @tamushamu.